Step into a world where Jimi Germ, Germ Handler Extraordinaire, attempts to solve baffling cases with his home brewed solutions. Will he succeed? 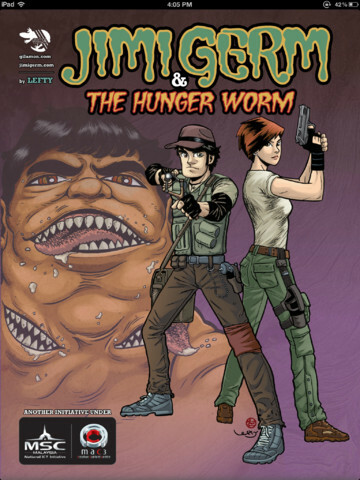 Issue #1:"The Hunger Worm", follows Jimi Germ's most exciting case yet, where he and his clinical scientist sidekick, Zee, search for clues as to why the Mayor's son from one of the most technologically advanced cities in Asia can't stop eating everything and anything. Will Jimi solve this mystery or will he become part of the Mayor's son's next meal? 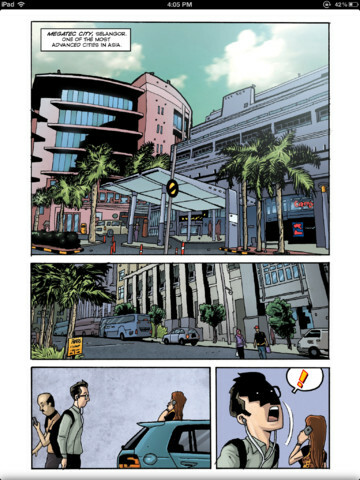 The Jimi Germ series of comics follows the exploits of Jimi Germ, an eccentric young man who battles demons and strange diseases with his knowledge in traditional germ handling in a fictional modern Asia. Deemed as an outcast by the very society he protects, he is often called in by the authorities to solve cases that science can’t explain. • Experience Jimi Germ comics in full retina resolution on the new iPad! 'Jimi and The Hunger Worm' comics book's asset comes with full retina capable resolution. • Two reading modes: support panel by panel navigation and manual page swipe navigation. 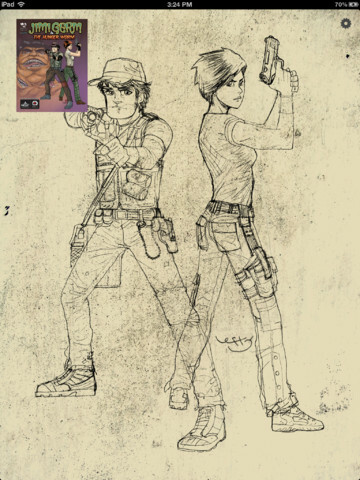 • Discover and playback special animated effects in comic page with animated content, which bring every character in comic book to life.